To purchase Juvenile Wild Ducks at Meyer Hatchery, shop our website. How are wild ducks shipped? Wild ducks are shipped via USPS Priority mail express. They will ship weekly on Wednesdays and arrive typically in 1-2 days. Pick your birds up promptly from the post office to minimize stress. How do I house my wild ducks? Wild ducks will need to be put into a covered aviary or pen with food and swimming water, at least during a period of acclimation even if they are pinioned. A stressed out duck can run and jump over a fence even without use of their wings for flying. After the period of acclimation, which can be a few days to weeks depending on the species, you may then introduce them to your existing pond. 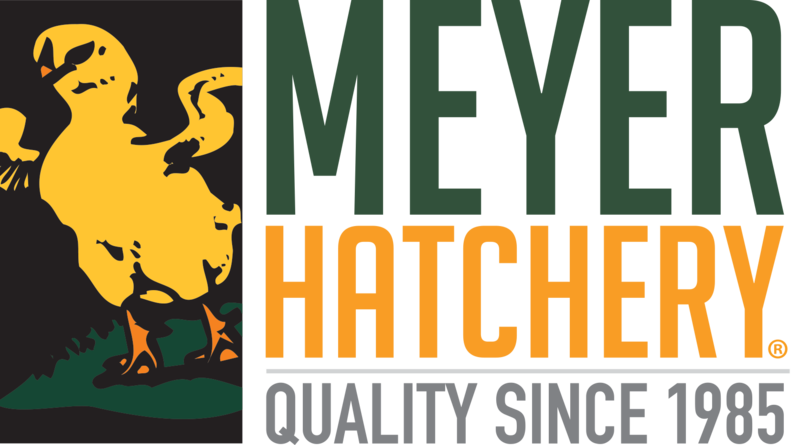 Meyer Hatchery recommends that your ducks be in a covered aviary for their safety. What is the difference in wings being pinioned, clipped, or flying? Pinioning is a surgical procedure that renders your duck flightless. Flying means their wings have been unaltered. Clipped wings is an in between--their flight feathers have been clipped to temporarily prevent them from flying. The flight feathers will grow back in. This is often done to help with acclimation. What temperature range can I keep wild ducks? Wild ducks are hardy to all types of temperatures. In sub-freezing weather, you will need to provide your ducks with an adequate shelter to get out of the elements with bedding such as hay. Ducks are omnivores and will eat vegetation in and around the pond, as well as tadpoles, insects, small fish, frogs, and more. You can also supplement any type of greens (grasses or produce) as well as a commercial waterfowl feed. What is the proper name for wild ducks of different genders and ages? A male duck is called a drake, females are called ducks, and babies are called ducklings. Can I own a wild duck where I live? Please check with your local fish and game department for any permits needed or possible restrictions. How old are juvenile wild ducks? Breeder age wild ducks? Wild ducks are considered juvenile between 6 and 12 months of age. They are hatched out in the Spring and then available in the fall. Those that are available in the fall will be closer to 6 months. Breeder age is considered to be 1 year and older.